Fishing, boating, sports and swimming – all are part of an activity-filled camp experience enjoyed by children at Camp Amigo. Led by our Craniofacial Team at Medical City Children’s Hospital of Dallas, Camp Amigo was designed to give children with common birth defects a chance to enjoy the wonders of the out-of-doors and to try new activities in an environment based on support and trust. This camping adventure offers the campers a combination of challenges and interactions that leave them feeling good about themselves. 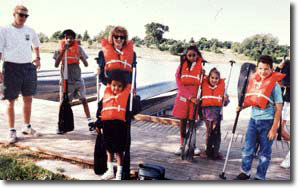 Camp Amigo is open for children from 6 to 16 years of age, and is held on a weekend in September. Our staff consists of Craniofacial Team members who volunteer their time to serve as counselors.